With over 10 years experience in Lettings, here at X1, we pride ourselves on the quality of accommodation in our portfolio, complemented by our friendly and enthusiastic team. Whether you are looking for your new student accommodation in Liverpool or Manchester, or you’re a working professional in Liverpool, Manchester or Leeds, we are bound to have the perfect property for you! The team here at X1 Lettings are all hand picked and hold an unrivalled knowledge of the City they are working in. Educated to degree level as minimum, our staff attended the Universities within the Cities they work and hold professional industry qualifications against their names. We are passionate about customer service and are confident that anyone working with X1-from a purchase or rental perspective-will benefit from a great service and product. Hi, I’m Anna and I am the Regional Manager at X1 Lettings. I joined the team in August 2013 and previous to this I worked as a Team Manager and in HR for 7 years after graduating from the University of Chester in Art & Design, BA (Hons). My main duties are to ensure the smooth running of the office in Liverpool and overlooking our student accommodation sites in Liverpool along with our residential sites in Manchester and Leeds. My job is very varied and every day is different which is why I love working here. I am also responsible for looking after our International Landlords Investment product. Our Landlords often like to visit the city and also the student accommodation site where they have invested in, therefore it is my job to show them around. In my spare time I enjoy outdoor activities and I love to cook. Pop into the office to say hello, we are a friendly bunch!! Hi I’m Melissa and I am the Head of Operations for X1 Developments. I have worked with the developer for over 12 years and in that time have been involved in numerous residential and student accommodation projects. Previous to this I graduated with a 2:1 from Newcastle University. The projects I have worked on have varied between entirely new build projects or refurbishment of existing buildings – restoring them so they are modern living spaces once again. I manage both sides of the business; overseeing sales and looking after our investors, and managing the rentals team to ensure we deliver a high quality product along with fantastic service. My key objective for X1 Lettings is to create a company providing a level of customer service that is unparalleled in the market and to combine this with supplying incredible accommodation in great locations. I am extremely proud of the X1 Lettings team and am confident that all parties who come into contact with the X1 Lettings Company, from either a purchase or rental perspective, will benefit from a great service and product. 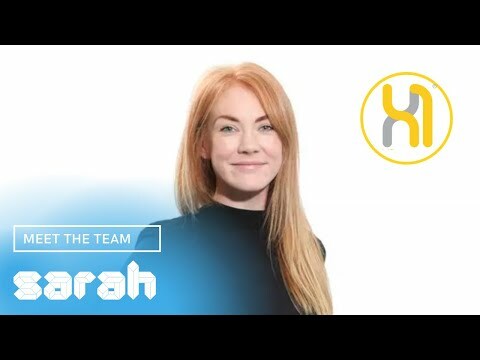 Hi, I’m Lara and I am Head of X1 Investor Portfolio here at X1, currently based in our ever so expanding Manchester Branch. Having joined X1 in May 2014 as Manchester Branch & Landlord Manager, I’ve recently transitioned into a new role where I can solely focus on our investor portfolio and the associated business demands. The portfolio is expected to double in 2016/17 and I’m thrilled to play a key role in this expansion. During 2006 I graduated from Chester University in Art & Design, BA (Hons), I have a keen interest in photography and I’m rarely seen without a camera in my hand! 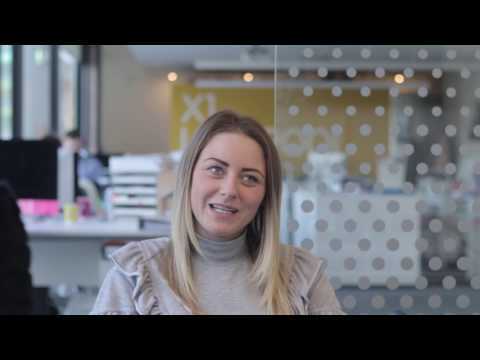 I’m Lorna and I’m the Branch Manager for the X1 Manchester Office. I joined the team in August 2016 so I’m still relatively new to X1. I graduated from Nottingham Trent University in 2012 with a Law Degree and after a short stint in a law firm and then over 3 years based at a student accommodation in the city centre I’m now here at X1 and could not be happier to be a part of such an amazing company. I’m originally from a small town in the North East and I have now lived in Manchester for over 4 years, it’s a city I love and it’s great to see other people relocating to Manchester on daily basis to start their Manchester journey. My main role is looking after all the Account Managers in the Manchester Office and it’s day to day running. Every day is completely different, one minute I can be at my desk responding to emails the next thing I’m coming back from IKEA with an overflowing car load after a successful shopping trip. With many more buildings currently opening in Manchester and also expanding into different cities I’m very excited to watch the company grow and to be a part of it. I joined the X1 team as The Leeds Office Administrator at X1 AIRE our residential building in Leeds. I love my job role largely due to the diversity in my role. No two days are ever the same and it is great getting to meet our new residents, help them settle in and hear that they enjoy their time renting with X1! Hi, I’m Sameena and i’m the Landlord Manager for X1 Eastbank and X1 The Plaza. I began working as evening and weekend staff and decided to go full time when the opportunity arose! My role entails the management and customer care of our landlords/investors who have purchased properties within our developments. Before starting with X1 I graduated from Manchester Metropolitan University with a 2:1 in Psychology and worked for various different companies. It’s been great finding a job that I am more than happy to wake up for in the morning! Looking forward to the many years ahead with X1! Hi I’m Sarah, and I am the Senior Account Manager for our 3 Salford Quays building and X1 Eastbank in Ancoats. My job varies daily which I love, my role entails the management and customer care of our landlords and tenants. I spend my days responding to any queries they may have alongside making sure everything runs smoothly with their management plans and conducting viewings. I graduated from The University of Salford in 2012 with a 2:1 Honours degree in Interior Design, which has led me to work in various job roles across design, construction and customer services. The highlight of which has definitely been being chosen to work in Brazil for 6 weeks for the FIFA Football World Cup! I’ve never lived a million miles away from Manchester location wise but in more recent years I’ve been pulled closer and closer to the heart of the city and I don’t intend on leaving anytime soon. Outside of work I love going to gigs, there’s some great music venues around the city, I like rummaging around car boots and enjoy travelling and discovering new places. I’m also a big fan of sausage dogs! 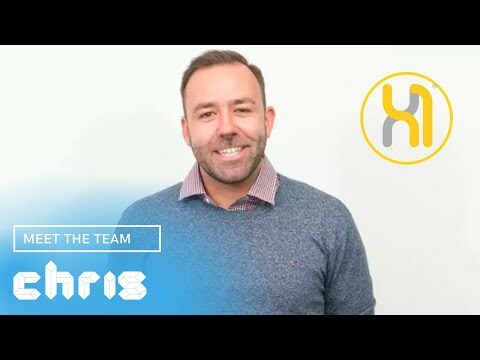 I’m Chris and I’m Head of Finance here at X1. Before working here, I graduated from Newcastle University in 2011 with a first class honours degree in Marketing. I have trained as an accountant at a large retailer based in Leeds and it’s great to have joined the X1 team. I moved across The Pennines in 2015 to join team here at X1 Liverpool. I am really enjoying being part of such a fantastic team and living in a city which is full of culture and character! Hi! I’m Eve and I’m Head of Marketing at X1 Developments. Working along with our Lettings Marketing team, it is my job to help bring the brand to life. I studied Public Relations and Spanish at LJMU and graduated with first class honours in July 2013, undertaking a year of study in Spain at The University of Granada. No two days are ever the same at X1 and my day-to day role is extremely varied. I am passionate about the X1 brand and it is fantastic to see it roll out across Liverpool, Manchester and Leeds. Hi I’m Greg and I’m accounts payable and technical support here at X1 Lettings. I am new to X1 having finished my degree in Audio Engineering earlier this year. I started as summer staff in 2016 helping prepare the final phase of X1 Liverpool One for our new tenants. I have lived in Liverpool for over 3 years and I am lucky to have found such a great group of people to work with. I am always challenging myself to keep on progressing and aim to consistently provide the great customer service of X1 to our tenants and those we come in to contact with. Hello! I’m Jaimie and I am the Marketing Manager at X1 Lettings. I have worked for X1 since 2012 during the summers while I was at University. 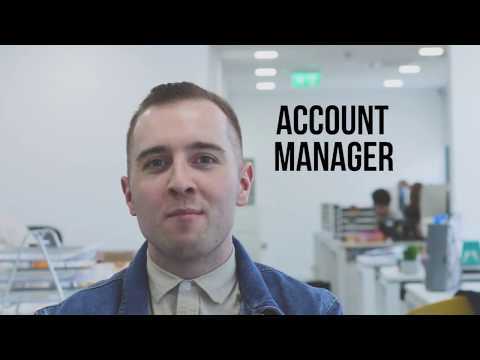 I have worked in a variety of roles from Account Manager to Social Media Manager, so have definitely got to grips with the ins and outs of the company. Whilst I enjoyed every role, marketing has always been the career I wanted to pursue, so I was absolutely thrilled when given this opportunity. 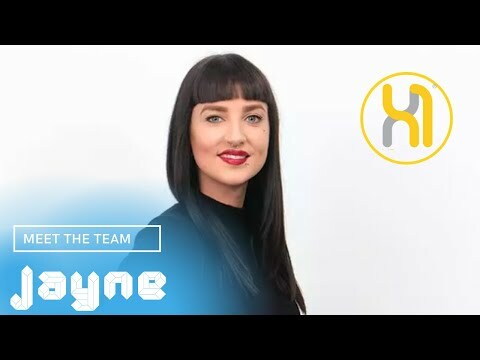 Hi, I’m Louise and I’m the Executive PA and Head of accounts payable. I have recently relocated from the X1 Manchester office and have joined the team here in Liverpool. I have been fortunate to work with both of the teams and have built excellent working relationships with the people I’ve met along the way. Prior to working with X1 Lettings, I studied Performing Arts. I joined the X1 team in March 2014 and I’ve never looked back since. I enjoy how varied my day-to-day activites are and with my job role, no two days are ever the same. It is great to be a part of a fast paced and family orientated team and I am looking forward to my future here at X1. Hi I’m Emily and I’m part of the evening and weekend team here at X1 Manchester. I’m currently studying Fashion Styling & Image Making at University and am in my final year. Despite starting at X1 a month ago, I am already very friendly with everybody in the team and enjoy my role very much. As I love meeting new people, I think it’s great that I am responsible for providing them with their new home. My role also allows me to meet people from all over the world which is a bonus too! I’m George and I am part of our finance and landlord team here at X1 Lettings. It is my role to ensure that our landlords recieve timely updates and payments on their properties whilst under the care of X1 and help to prepare their finance statements. Hey! I’m Jayne and I am the Account Manager for our student portfolio in Manchester. My role consists of following enquiry leads, viewings and assisting our potential tenants with any information they may need prior to their move in date. Being a part of such an amazing team makes the work days fly by and I am very lucky to work for such a fun and vibrant company! In my spare time you’ll mostly find me in The Northern Quarter shopping for vintage treasures or sifting through vinyl in the hidden away record stores of Manchester. Hello, I’m Nick and I’m one of the newer faces at X1. I joined X1 in Summer 2015 assisting the Project Management and furniture installation at X1 Town Hall, as well as helping out where required throughout the office. I am currently part of the Quality Control Management for X1’s newer sites and future developments. When I’m not out on site I’m based in the Manchester office and it is great getting to know our tenants and indeed show everyone the new ventures X1 has coming up in the future. In addition to this, I am also working on our new accommodation called ‘X1 Aire’-which marks X1’s expansion in to Leeds. I thoroughly enjoy the atmosphere while working with the X1 team and after having spent the best part of a decade working as a chef I know that team work is vital and X1 is a great, helpful and fun team to be a part of. My role at X1 is as Project Manager for our construction projects. I manage all of our buildings that are under construction in Liverpool, Manchester, Leeds and Kent. I work closely with our Contractors, Architects and Consultants to ensure that the completed buildings reach the X1 standard and are a good fit for our brand. I travel to our sites monthly to check on progress and manage the handover process to both the Block Management and Lettings teams upon completion of a building. Fun Fact: I have a brown belt in Jiu Jitsu. Hello! 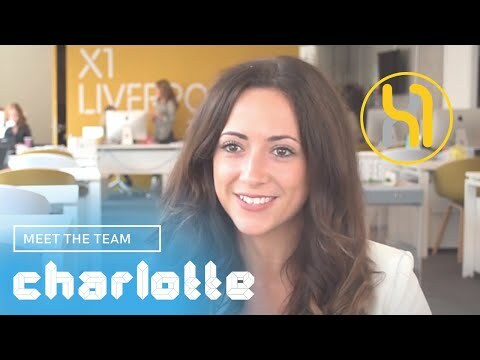 I’m Steph and I’m the X1 office administrator in Liverpool. I’m an all rounder here and as well as assisting with day-to-day duties in the office, I also accompany our X1 staff on viewings. In addition to this, I enjoy helping with tenant queries as well as conducting property inspections. As I said, I’m an all rounder and really enjoy how diverse my role is-no two days are ever the same. The staff are all lovely, as are our X1 tenants, so it’s a dream getting to work here every day. It’s great getting to meet tenants on their first day and seeing them enjoy our accommodation year on year, meaning they continue residing with X1. I have recently been appointed Head of Training within X1, a role that has been developed during three years with the company, managing our London Road accommodation X1 Borden Court. Now responsible for new X1 staff, both current and those who have yet to start, I will be ensuring that our colleagues are fully equipped with the skills required to manage large accommodation blocks, specifically focusing on account management, customer service and preservation of the X1 brand. Introducing a structured training scheme means that we are able to ensure that our staff are working to the best of their abilities, providing continuous development for our colleagues and producing continuity across our offices. This means our clients can benefit from the service of a fully trained and experienced account manager no matter which branch they visit. I have also taken on the role of account manager for X1 The Courtyard. David has done a fantastic job with this property so far and so I’m excited to take over the reins! I’m very much looking forward to meeting all of our new recruits across our expanding collection of offices and overcoming any new challenges that this role may bring. Hey! I’m Cienna and I’m the Communications Coordinator here at X1. I work within the very creative Marketing team, aiming to distinguish our X1 brand into a league of it’s own! Prior to working at X1, I studied Marketing and Public Relations at University and graduated with first class honours in 2016. I am lucky to work with both the Liverpool and Manchester teams, producing content material to distribute to our current and future students, residential tenants and landlords. Working at X1 is such an exciting, fun and fast paced environment to work in. No day is ever the same! One day may be focused on brainstorming for upcoming marketing campaigns and another may be helping out Account Managers with viewings and current tenants. It’s an exciting time to be apart of the X1 Team with so many new projects on the horizon and with the team growing so rapidly; I look forward to the future with X1! 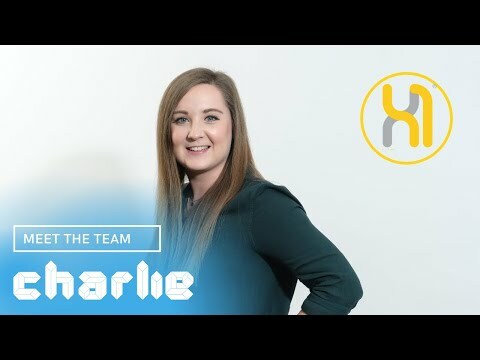 Hi, I’m Milly and I am the Senior Account Manager for the X1 The Exchange and X1 Town Hall! I studied criminology and quantitative methods at Manchester Metropolitan University whilst working part-time at X1 as a lettings assistant. I’ve absolutely loved every day working at X1! The team is so welcoming and really made me feel like part of the X1 family from my very first day! I can’t wait to progress and take on more responsibility whilst also making some great memories! Hi! 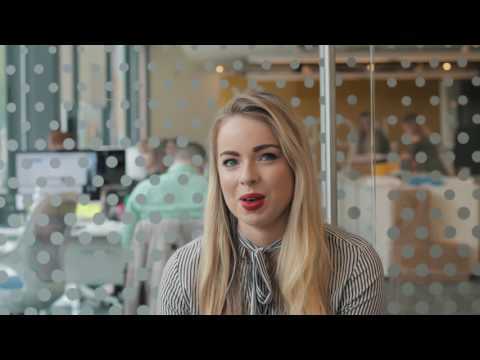 I’m Sofia and I’m a finance assistant here at X1 Manchester. I joined the team in June 2017 so i’m the newest member of X1. I gratuated from University of Macedonia in 2014 with a degree in finance and accounting and worked as an assistant accountant in Greece for 3 years. I recently moved in Manchester to join the X1 team. I’m really happy to be a part of such a great and welcoming team and looking forward to progress in this fast growing company! I’m Ciara Louise and I am the head of Block Management here at X1. My role entails ensuring the highest standards of repair across our entire portfolio in Liverpool, Manchester and Leeds. Along with the team, I ensure that whether a development be a new build or live and tenant, maintenance requests and repairs are dealt with swiftly and the building is managed in line with our high standards here at X1. Along with this, my team and I ensure that each building is safe and secure and has a security team in place. Furthermore I oversee our cleaning team to ensure the communal areas of each building are maintained as if the development had just opened. In addition to this, I ensure all our our buildings post construction and fully compliant with legislation to ensure the highest standards of safety for our residents. Hey, I’m Rob and I’m part of the Finance team here at X1 Lettings. Hi, I’m Rebecca and I’m a Finance Assistant here at X1. After graduating from LJMU with a 1st in Maths, I moved to Manchester last September looking to start a career in Finance. I applied for a role at X1 at the beginning of this year as it looked like a fun and exciting place to work and it has been exactly that! It’s great to be part of such a close team and I can’t wait to start my career in this fast expanding company. Im a part time staff member, currently working towards gaining a place to study midwifery at University. I love to help current tenants and future tenants with their queries, and i feel i can relate to students and understand their needs. My favourite part of the role is attending viewings and meeting potential tenants face to face. Im really grateful to be a team member at X1 as they are all amazing, and everyone is really friendly and helpful. The whole team have been very supportive of me since i started this Summer. I am part of the Block Management team based in Liverpool. I, along with my team oversee the maintenance that is carried out in our buildings to ensure tenants are both safe and happy during their stay with us. I began working with X1 in February of 2017 and since starting have enjoyed every aspect of my role. As a member of the evening and weekend team my role involves organising and ensuring the smooth running of each shift. My favourite part of the role is meeting potential tenants on viewings and ensuring I go that extra mile in helping them to find their dream flat. Our team here at X1 is second to none and it is for that reason I enjoy going to work. I’m Seamus and I joined the X1 team as Lettings Assistant whilst finishing my studies at Liverpool Hope University. Following on from a succesful period in Lettings, I transferred on to another team. I have recently transferred into the Finance/Landlord management team working closely with our Head of Finance Chris Martland and Head of investment portfolio Lara Shiers. I manage our Landlords’ Investment units located in 10 different sites across Manchester and Liverpool, providing feedback to our landlords about their apartments and any change to services that we offer here at X1. As Senior Account Manager, I manage two of our student sites based in Salford; X1 The Campus and X1 Chapel Street. I oversee all of the operations pre, during and post-booking a room to make sure our tenants experience continued support during their time with X1. This is reflected in the high number of tenants who re-book, spending their university journey with us. If you are interested in booking a room, or hearing more about our management packages, please do not hesitate to email on david@x1management.com.